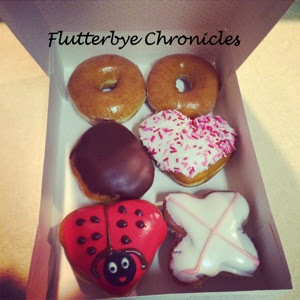 My parents brought me a Krispy Kreme donut delivery a couple weeks ago cause they are the best! 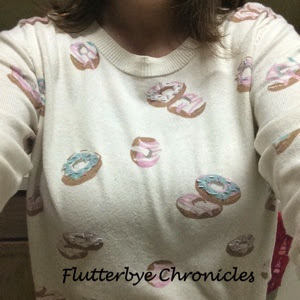 Well yesterday not only was I wearing my donut shirt. But my Dad called and said he was coming by last night to bring me some. 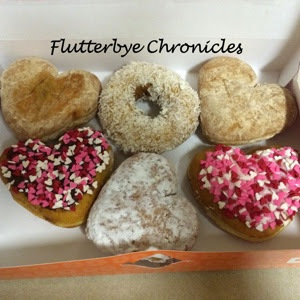 This time it was Dunkin Donuts which is my favorite. Talk about being on the same wavelength. I love my parents. Always bringing treats for us. Bub was so happy when he got home from youth group and saw donuts on the counter. With all these donut deliveries I may be big as a house this summer. Time to hit the treadmill this morning!! !